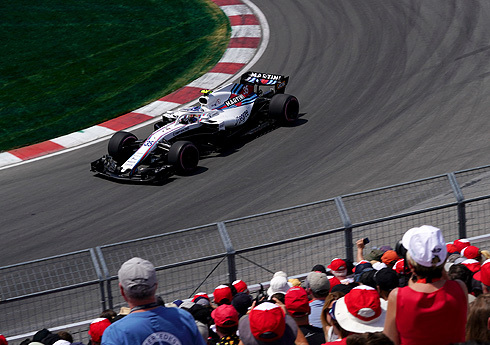 The results of the 2018 Canadian GP would see further disappointment for the Williams Martini team with Sergey Sirotkin finishing the race in 17th while team-mate Lance Stroll would not see the finish been involved in an accident with another driver very early in the race. For Lance the disappointment was made even worse by the fact that so many of his fans were there to watch. The team continues to struggle but is still hard at work trying to resolve their issues. "It was a difficult race. The start was particularly tough in the beginning with the prime tyres compared to the much softer compounds of everybody else. Still, I was able to gain some positions at the start. However, with the safety car and an extremely poor warm up with the harder compound of tyre, it was impossible to keep up with the pace. We were the slowest car of the day and we have done our best to finish the race despite the issues we’ve had. That’s where we are and we have to be honest with that." "First of all I am really disappointed for the fans. I have had a great welcome here for my home race and I wanted to put on a good show for them. I had a good start, gained a few positions and got both McLarens, but I had some contact when I overtook them. Then I was side by side with Brendon going into turn five. The car got loose on me, I corrected it but there was not much room for both of us, and by the time I had corrected it we had touched. It is not ideal, but that is racing, things like that happen on the first lap as we are close and side by side, so that is how it goes sometimes." "This was a very disappointing result, especially for Lance's fans and there were many of them here today for his home race in Canada. 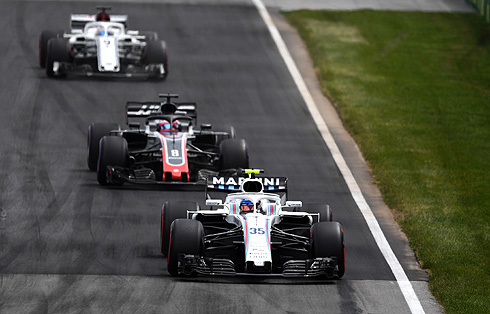 As for the race itself, we chose to split the strategy across the two cars, with Lance starting on the ultrasoft and Sergey on the supersoft. Both cars made good starts off the line, initially gaining places. Unfortunately, Lance had an accident in turn five involving Hartley, which brought his race to a very early conclusion. On Sergey's side, due to the harder tyre slow warm up, he lost the positions he had gained at the start after the safety car. He then settled down to protecting a position ahead of Ericsson and Vandoorne. 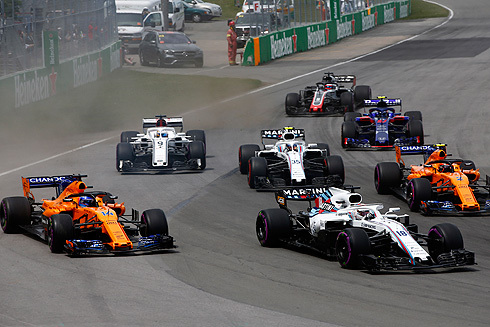 We chose a relatively early stop for the ultrasoft to go to the end, thinking that this would gain an advantage, but unfortunately, we didn't find any pace in these softer tyres, which appeared slower than the supersofts. We know we are not where we need to be and we have a lot of work to do. We are working very hard behind the scenes and intend to come back stronger as soon as we can."